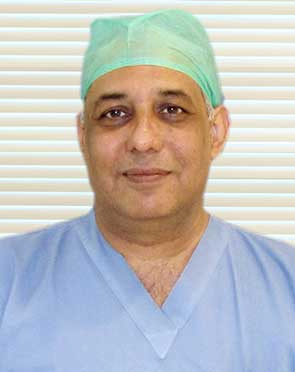 Dr. Sanjay Sachdeva is an eminent ENT Surgeon based in Delhi, India. He carries with him a rich experience of 26 years in the field of ENT – Head and Neck Surgery. He has gained expertise in Endoscopic Minimally Invasive Approach to Skull Base Surgery. He has the credit of conducting a Live Surgery Workshop on Tracheal Stents in collaboration with the University Hospital, Ohio, United States. Apart from this, he has conducted several other live surgery workshops and is an invited faculty, moderator, and panelist at various national and international conferences. He has also won many awards and accolades for his impeccable and remarkable achievements in the field of Medicine. The Association of Otolaryngology of India has honored him for his outstanding contribution. The Lions Club, Dharamshala, has also awarded him with The Certificate of Appreciation for his charitable work and services rendered in Rural Health Scheme. He has also been awarded with the Certificate of Appreciation during the National Conference of Skull Base Surgery Society of India at Vigyan Bhawan, New Delhi. He is the Co-author of two books, one on Endoscopic Sinus Surgery, and another on Common ENT Problems. Certificate of Appreciation for valuable contribution as a Faculty Member to the Coblation Workshop by Gauhati Medical College in 2014.
u201cCochlear Implantation in Adults and Childrenu201d, Leiden University Medical Center, The Netherlands, 9 & 10 September, 2015. Honoured by University of Gauhati on the subject u201cSnoring; its development and managementu201d in 2013. Oration at Annual AOI, Himachal Pradesh in November, 2008. Honoured by association of Otolaryngology of India for contribution in the field of academics conducting various workshops, performing live surgery courses and presenting various papers in National and International Conferences 3rd cochlear implant group of India conference 29th October 2005 as a chairperson at Vigyan Bhavan. Felicitated by Association of Otolaryngology of India (AOI) in 2000 for: u25cb Conducting an Operative Workshop on FESS in Chandigarh u25cb Organizing a workshop (u201cENT in the next millennium u201d) in ENT at Apollo Hospital, New Delhi u25cb Conducting an Operative Workshop for AOI in Meerut. u201cCurrent status in Tracheo-Bronchial Stent in Airway diseasesu201d, AOICON-2006, Lucknow. Delivered AOI oration on u201cImportance of Diagnostic Endoscopyu201d at SMS Medical College Jaipur on 25th December, 1998. Certificate of Appreciation awarded during the inaugural National conference of Skull Base Surgery Society of India at Vigyan Bhawan, New Delhi on 25th u2013 27th September 1998. First SAARC ENT Conference 9th u2013 12th February 1998 at Dhaka, Bangladesh: Presented on Nasal Endoscope assisting surgery u201cAdvance in Pituitary Surgeryu201d at College of Physician & surgeons (BCPS) Dhaka. Appointed Course Director and Chief Surgeon by the Association of Paediatric Otolaryngology of India in Madras on 18th August, 1995. Dr. Sachdeva performs 28 different procedures. Click on a procedure name to see more details and to view doctors for that specialty. 4.7 average based on 52 reviews.